Tai Chi Chuan is the study of an ancient Chinese Martial Art. It is a self-defence Art designed to help prolong & enrich life through meditative coordinated movement. Tai Chi Chuan could be translated as The Supreme Ultimate Fist, and so is far more than a simple exerercise regime. It is one of the Internal or Soft styles of the many Chinese "Kung Fu" systems, that aims to cultivate and nuture energy (Chi). The Yueng (Yang) Family are famed for their Martial Art prowess and for sharing this Chinese treasure worldwide. 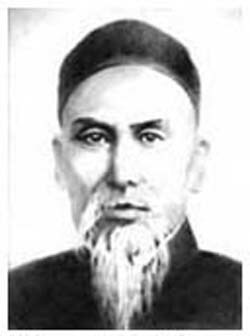 Tai Chi is based upon the philosophy of Daoism, which together with India's Buddhism fathered Chan (Zen). It has great ties with the I Ching, Tao Te Ching and the Art of War. These classics have influenced millions. The Art itself and the study of the Art in particular is a journey through these thoughts. For those people who dedicate the time and effort to embark on this great journey, life often changes. Tai Chi is based upon the Taoist philosophy of yin and yang. These two natural forces are interdependent and continuously interchanging in a cyclic but balanced way. The principal idea is that the softness of flowing water will always prevail over hardness. This is further balanced by the concept of being as firmly rooted as a mountain. These concepts are entwined within a self defence art, offering students to progress through life more empowered, fitter and healthier. Tai Chi’s added value is this very merger of philosophy and martial skills to enrich the Art and those who study it. This makes Tai Chi eminently suitable as a complete system with benefits across many levels. The Tai Chi symbol is a circle surrounding the interplay and interconnectedness of yin and yang energies. Yin never leaves yang and yang never leaves yin. These two natural forces whilst rarely 50/50 represent, heaven and earth, sun and shade, male / female, heavy and light, hard and soft, straight and curved, mountain / river, etc. This Taoist philosophy is embedded within the movements, so that we can do the walk rather than just understand the talk. Tai Chi Chuan therefore reflects this union and helps us to re balance ourselves. A self awareness program of quiet movements which allow us time-outs from our busy lives. A joy to perform, retraining the body, mind and spirit, by centring ourselves so we can focus on our bodies and well being. Each motion couples the ideas of training the body and calming the mind. Players should try their best within their own skill set. Tai Chi is based on Yin & Yang which in the I Ching are depicted as Earth and Heaven. These are shown as three broken lines and three solid lines. When Heaven and Earth are in balance, i.e. when the receptive is over the creative then the world is balanced and this is called Peace. When they are mixed up this is called Stagnation and a time to Standstill. The trigram for stillness is one solid line above two broken lines to depict a Mountain. The trigram for water shows a symbol of a river i.e. a solid line running between two broken lines or irrigating banks of a river. Thus the two trigrams for Tai Chi's classic command, to be still as a mountain and to flow like a great river, are pictorially represented in their original symbols (trigrams). Therefore they predate any written characters. Place these two together and they form a Mountain above a River or the I Ching hexagram No. 4 'Meng'. Which has been translated as "Darkness", "Youthful Folly", "Immaturity" & "Learning & Teaching" to name just 4 options. Perhaps these explain the previous hexagram No. 3. "Difficult first steps". Inexperience, leads to youthful folly until a suitable correct method of advancement is found. Each option in our lives allows a choice. If we follow the right path there will be no blame and we will progress. During our difficult first steps and whilst in darkness, we must seek out guidance upon our quest for experience, maturity and wisdom. There is a warning in all the translations not to waste the teachers time with impertinent questions, which reminds me of the synonym the questions should reflect the QUEST I (am) ON. The point of the Book of Changes, is that everything has it's season and time. Following this natural path will bring us into harmony and balance with the Tao. We move from darkness where our steps are difficult like a child's first steps are. Then with our teachers help until we can stand up on our own, using our experience and learning as our continual guide. The way and virtue classic are the original Taoist writings by Lao Tze or The Wise Old Man. Almost as old as the I Ching and almost as influential. 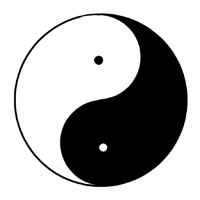 In a series of eighty poems, we are told how to balance Yin and Yang as illustrated in the Tai Chi diagram (the yin yang (two fishes) symbol). This alludes to a path that cannot be seen, nether grasped nor quantified. A middle way. The way of nature itself. It sheds light upon this path and hints at approaches, but warns against trying to be clever. The Tao Te Ching even says don't talk about it. A bit like the 'modern' quote "Don't Talk. Do". Or "You can do the Talk; but, can you do the Walk". Further interesting reading can be found with Chuang Tze's Inner Chapters and some Tai Chi practitioners find great solace and inspiration in Zen writings. I think a great place to start might be Benjamin Hoff's book The Tao of Pooh. 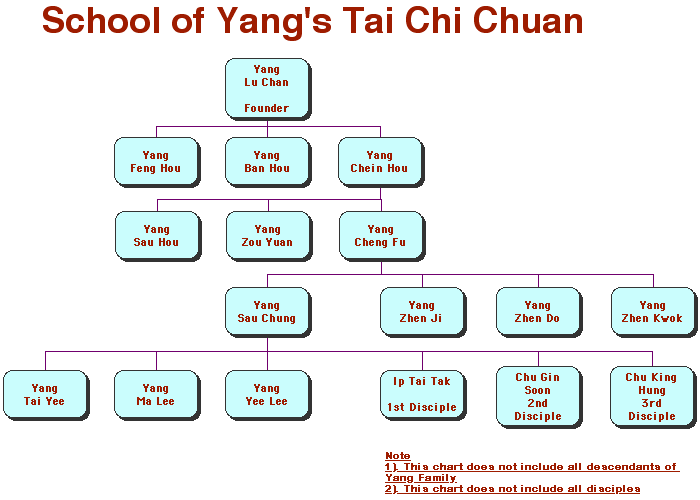 For those interested in the origins of the martial side of T'ai Chi Ch'uan I recommend Sun Tze's Art of War. Please remember the Ch'uan means fist and T'ai Chi Ch'uan can be translated as Supreme Ultimate Fist. I was drawn to T'ai Chi Ch'uan primarily because it was a complete Martial Art all be it a Peaceful one. I am sure that there are many other worthy styles, and I have respect for them all. Each has it's place in the greater scheme of things (or Tao). Yet it was the non-aggressive nature of T'ai Chi that tempted me. As I continue to discover more facets to this Art I understand better how dangerous it could be. I will not pass judgment on it's ability to be the Supreme Ultimate, but I respect my elders for their choice of phraseology. I enjoy the martial side as much as I do the rest of the discipline. I understand the Internal concept of from ultimate soft comes ultimate hard; as well as I appreciate the end goals of the hard styles is to be soft at their pinnacles. The principals in Sun Tze's Art of War are so profound that they have been required reading by army personnel across the globe for hundreds of years. Sun Tze's short book explains strategy, without which no sane person would do battle. We have latent skills that need honing to allow us to have the ultimate choice in a conflict (flight or fight). The only other option is fright which is the only way of a "ready to be beaten" person. I do not advocate fighting, but I do advocate reducing and managing fear. For this, basic self-defence knowledge is paramount and the first peace (sorry piece) of advice is to be healthy enough to either run away or stay and fight. It would be a terrible shame if you died of a heart attack just because someone asked you the time! Be warned a lot of people cash in on the vulnerable and so cloud the excellent translations available. Start your T'ai Chi homework on the right foot by picking carefully.